On January 30, 2010, federal Environment Minister Jim Prentice announced new targets for Canada’s greenhouse gas emissions for 2020. The government says it made this announcement to fulfill a condition of the non-binding Copenhagen Accord that came out of the unsuccessful United Nations climate conference in December 2009 in Copenhagen. •The government’s previous target (adopted in 2006 as part of the government’s “Turning the Corner” climate change plan) was a 20 per cent reduction below 2006 levels by 2020. •Greenhouse gas emissions are typically referenced to 1990, which is the emissions base year used by the Kyoto Protocol. •A 17 per cent reduction from the 2005 level by 2020 would actually mean that Canada’s emissions target would increase to 2.5 per cent above 1990 levels. •The government’s previous target (a 20 per cent reduction from the 2006 level by 2020) would have reduced emissions to 3 per cent below 1990 levels. •Greenpeace and other environmental groups have called on Canada to adopt a science-based emissions reduction target of at least 25 per cent below 1990 levels by the year 2020. •The Harper government says it changed its target as part of a submission requested under the Copenhagen Accord by January 31, 2010 (see paragraph 4 of the Accord). •Greenpeace and other environmental organizations have denounced the Copenhagen Accord as a totally inadequate document that undermines the United Nations negotiating process. •The Accord is not legally binding; its fails to provide an aggregate science-based reduction target for industrialized nations; and has no firm financial commitments to support emission reductions and adaptation to the impacts of climate change in the world’s poorest and most vulnerable countries. •The Harper government target is even inconsistent with the Accord, which calls on parties to the Kyoto Protocol to “further strengthen” their commitments under the Protocol (see paragraph 4 of the Accord). Canada’s binding commitment under the Kyoto Protocol was to reduce greenhouse gas emissions 6 per cent below 1990 levels between 2008 and 2012. •Far from strengthening Canada’s Kyoto commitment, the Harper government’s new greenhouse gas target of 606.7 million tonnes in 2020, is actually 9 per cent above Canada’s legally binding Kyoto target of 558.4 million tonnes, which was supposed to have been achieved by the end of 2012. •Environment Minister Prentice’s rationale for the new target is “harmonization” with the same target adopted by the American Congress in the American Clean Energy and Security Act (the Waxman – Markey bill). 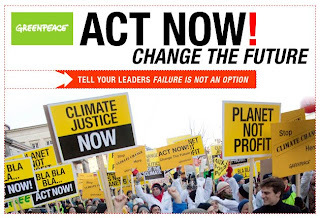 •Canada should provide leadership on climate change, not follow a bad lead from Washington. •It is worth noting that the impact of the U.S. and Canadian targets is different. In the U.S., emissions are expected to be 3 to 4 per cent below 1990 levels in 2020. The Harper government target (if achieved) would result in Canadian emissions about 2.5 per cent above 1990 levels in 2020. • The government’s previous target (a 20 per cent reduction from the 2006 level by 2020) would have reduced emissions to 3 per cent below 1990 levels. This is only true in hindsight – i.e., in light of revised figures calculated since the target in question was set. In April, 2007 when the Harper government announced the goal of a 20% reduction below 2006 emission levels, the latter were assumed to amount to about 760 megatonnes, which would produce a 2020 target of “about 610 megatonnes”, according to a footnote at the bottom of this web page. The 610 Mt figure is actually about 2% higher than 599 Mt, which was at the time the accepted figure for the 1990 baseline year. The 1990 emission figure was subsequently readjusted downwards to 592 Mt, and the 2006 emission figure was likewise adjusted downwards to 718 Mt. Only after those downward adjustments are taken into consideration does the 20% target come out to be equivalent to 3% below 1990 levels. At the time the 20% target was set, however, it was the assumption (and therefore the intention) of the Harper government that the 2020 emission level would still exceed the 1990 baseline level.